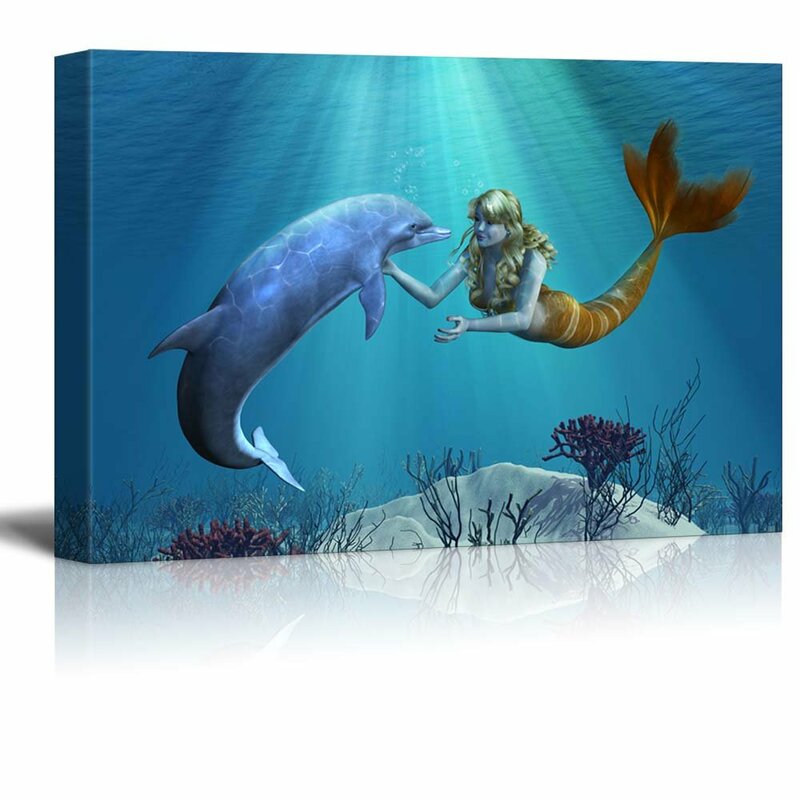 wall26 - Canvas Prints Wall Art - A Friendly Dolphin Greets a Mermaid Undersea - 12" x 18"
Very nice picture. Granddaughter loved it for her room. She loves mermaids.